Jonathan and I are in the process of cleaning up the land that we will start growing on this fall. 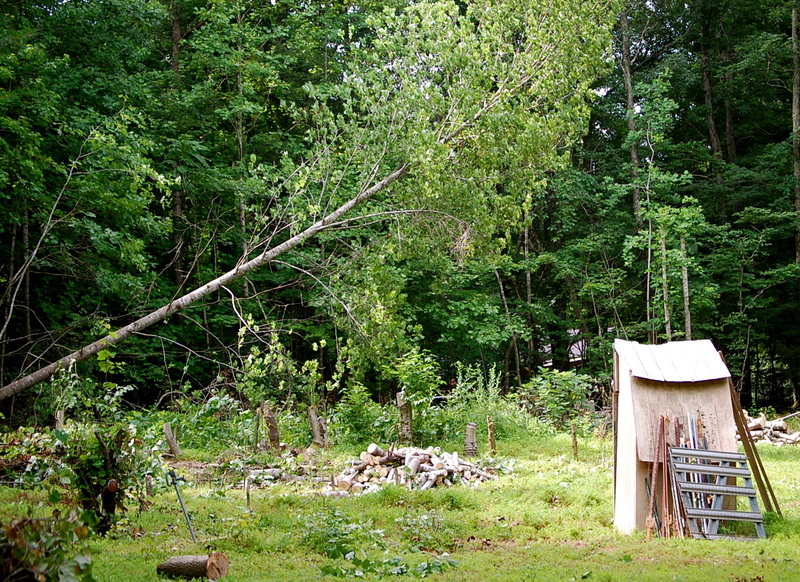 Clearing is a joint effort between us and the owners of the property. We are cutting down saplings and tulip poplars around the edge of the garden to increase the amount of light the garden gets throughout the day. This is hard work and sure puts clearing land by hand in perspective. 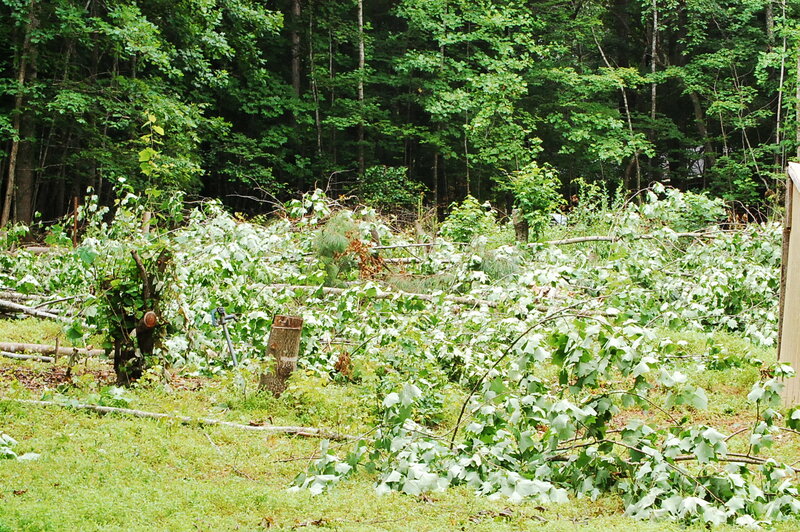 Here are some pictures of the clearing in process. Somehow, projects always “look” worse right before they get better. After clearing, the stumps will be pulled out, then we are planning to till with a roto-tiller. Then we will build beds, plant the fall garden and winter cover crops, and plan for the 2014 season.